A lot of words have been written about the glamourisation of ‘dirty food’ in London. Dishes such as burgers, previously only the preserve of fast food restaurants and other very casual eateries, are now taken very seriously indeed. This has been met with consternation in some quarters, hence the morally-loaded ‘dirty food’ finger-wagging terminology. I find such class- and faux morality-laden bitching extremely tiresome – applying care and attention to food, so it’s the best that it can possibly be, shouldn’t be the preserve of cuisines and dishes traditionally associated with the upper classes. Having said all that, I had my doubts about Birdland. 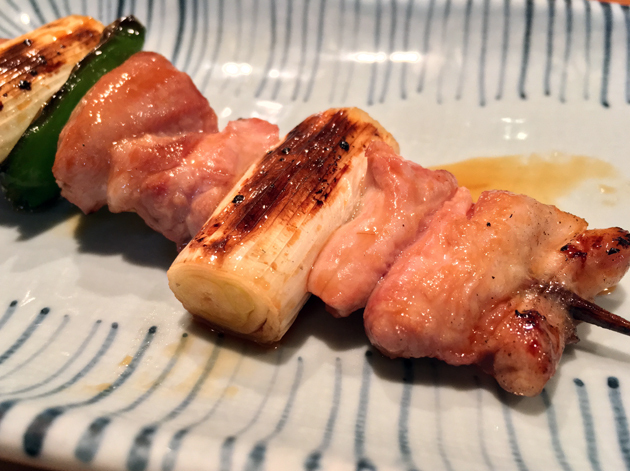 This restaurant in Tokyo’s pricey Ginza district serves a high-end take on yakitori, grilled skewers of meat previously the preserve of smoky, blokey izakayas. It even has one Michelin star to its name. Go down the staircase on the right-hand side, right below the giant glowing W sign. Avid gastronomic travellers will almost certainly recognise this as the street-level entrance for Sukiyabashi Jiro, the famed sushi restaurant of Jiro Dreams of Sushi fame, which is Birdland’s only subterranean neighbour. Indeed, we saw Jiro himself shut up shop at the hilariously early hour of 8.30pm just as we sat down to dinner. It’s highly advisable to book ahead if you can – we managed to snag the last seats of the evening at Birdland without one as our group was small enough to sit at the counter surrounding the kitchen and we were willing to wait around half an hour for the seats to free up. 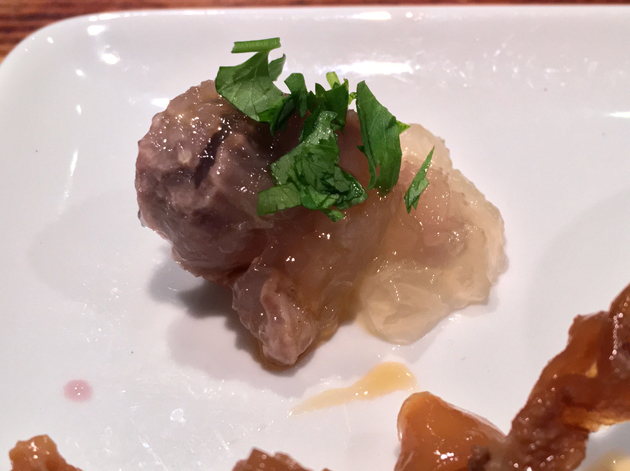 Birdland does have an a la carte menu, but we opted for the cheapest, dessert-less tasting menu which kicked off with a light yet meaty and surprisingly grainy gizzard served in jelly. It was an odd, yet tasty morsel. 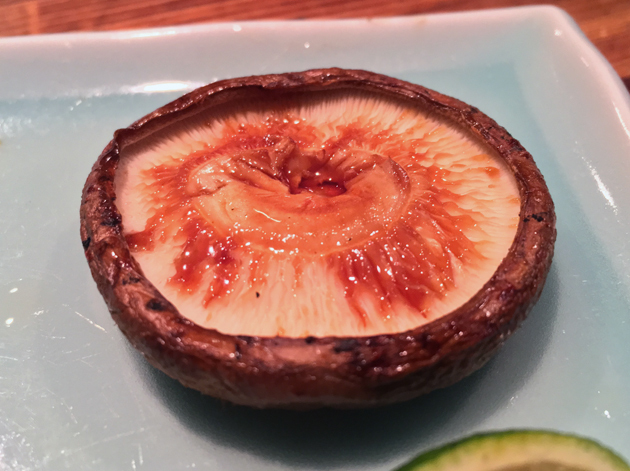 I preferred the lightly vinegary chicken skin though which had a hint of umami miso-ishness to it. 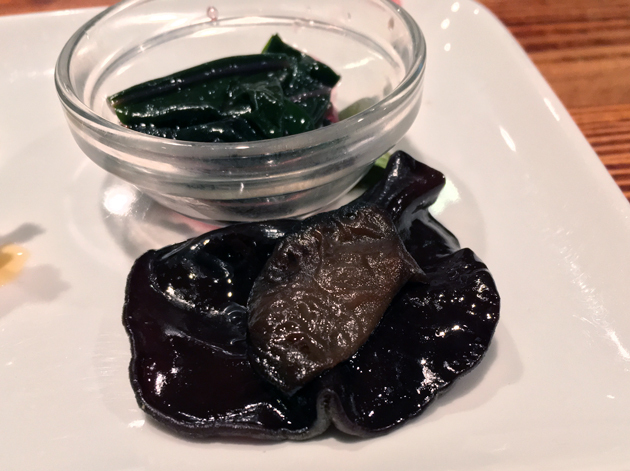 Leafy, yet delicately earthy and tart greens and wrinkly ear fungus with a light woodiness rounded off this accomplished beginning. I could do with a gizzard of my own. You need to have a thick skin to be a restauranteur. It sorta looks like an ear. I guess. 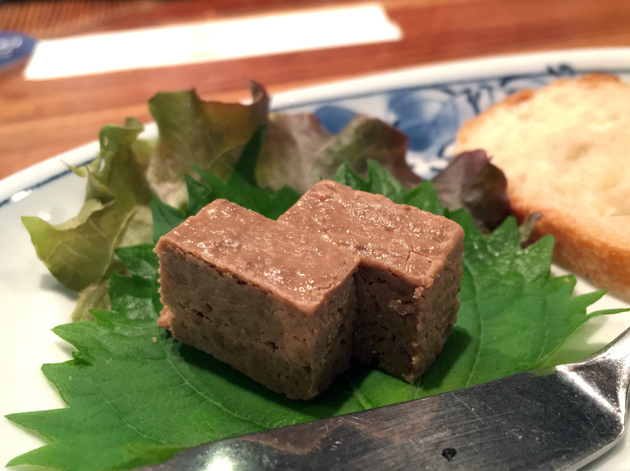 A chicken pate was the last thing I’d expect at a yakitori restaurant, but this was delightfully different from any other pate I’ve had. Apricot undertones proved to be surprisingly complimentary to its creamy and buttery qualities. Plus, the meaty spread wasn’t drowned out by the accompanying bread. This is quite a spread. Skewered morsels of chicken breast were moist and yielding. 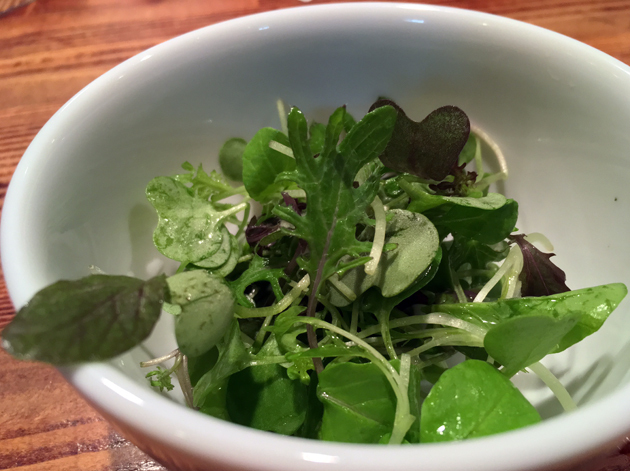 It was arguably a tad too plain, with only a daubing of subtly sweet then warming wasabi to liven things up. This review’s procrastination was brought to you, in part, by Fall Out Boy. Speared chicken livers were, as expected, much more interesting than the breast, but I was still surprised by the depth and nuance on display. The airy, yieldingly firm then tender flesh tore apart easily under the pressure of my teeth. Gently seasoned, it had hints of creaminess and an earthiness that made its presence felt without becoming overpowering. It’s not clear whether Birdland uses whole birds or not, but the kitchen certainly isn’t afraid to use parts of the chook that are unusual by most Western standards. Alternating segments of neck meat and skin were unctuously crisp, chewy, dense and smoky. This is one of the most joyously impressive servings of chicken that I’ve ever eaten. 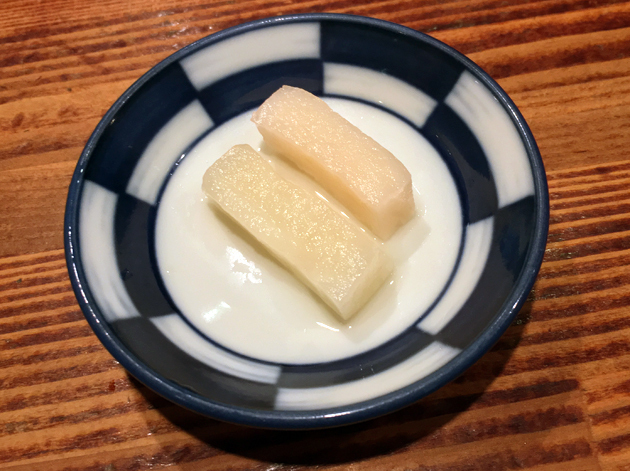 A brief meat-free intermission started off with chilled tofu. 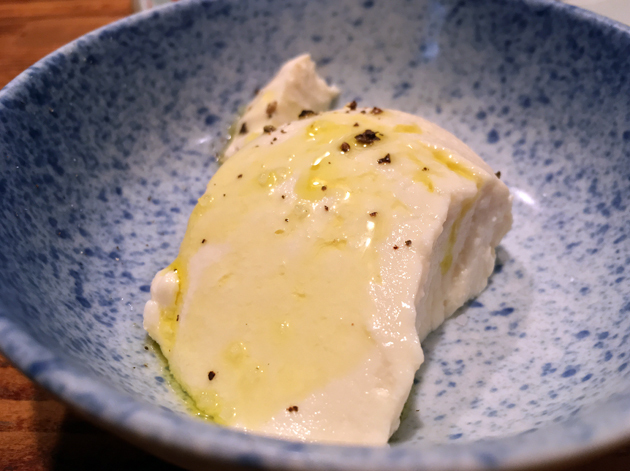 Airy, yet firm and creamy, the delicate cubes were seasoned with olive oil, salt and pepper – the distinct flavours of which really stood out against the cool background of the tofu. It almost resembled a curl of cheese. Gingko nuts deserve to be appreciated far more widely in the West than they currently are. Crisp then fluffy, like a jacket potato, but with a taste profile of chestnuts and cashews. It’s a somewhat unusual taste-texture combo that worked delightfully well. Chicken returned with skewered leg meat. Its dense crispiness and then smoky chewiness was perfectly enjoyable, even if it did feel like a partial repeat of the neck meat and skin. Ideally, each course of a tasting menu like this one wouldn’t be too similar to any other course. 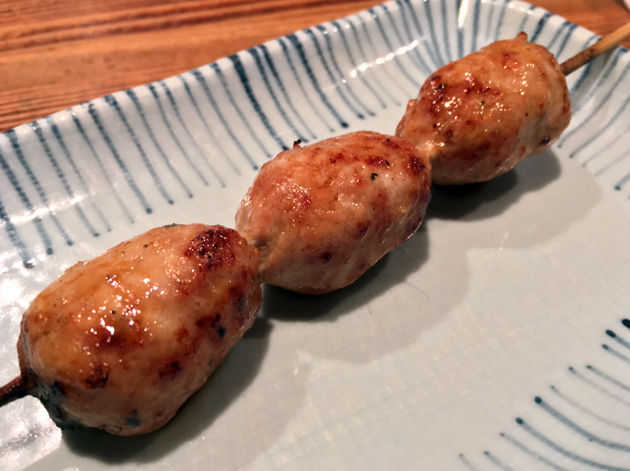 A crisp, fruity and gently earthy selection of leaves counterbalanced the relative richness of the leg meat skewers, paving the way for the sausage-like chicken meatballs. Although finely ground with a tender bite, the glaze was both too lightly applied and subdued to leave much of an impression. The counter seating at Birdland is reasonably kofte-ball. 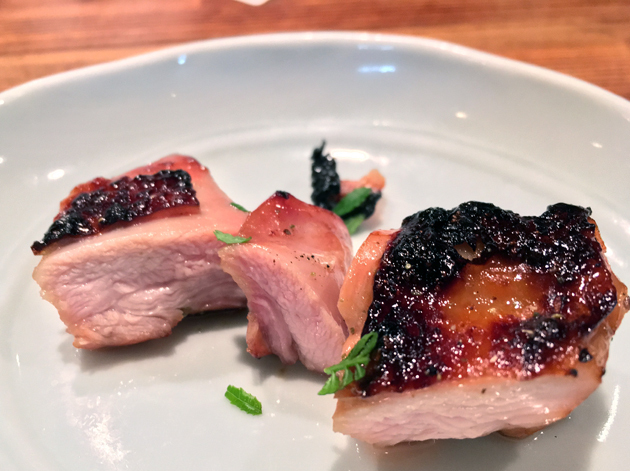 The glaze on the chicken teriyaki didn’t taste of much either, but it did give the surface of the meat here a crispy, chewy texture that contrasted neatly with the tender, yielding moistness underneath. That last pun above. I might as well quit now. I’ll never top that level of pun-fulness ever again. Birdland’s kitchen clearly needs to up their glazing game. Firm, but only lightly earthy shiitake once again came brushed with a tame and limp sauce. What does the kitchen do with all the stems? Breast meat made a repeat appearance, joined this time by yieldingly taut spring onions. 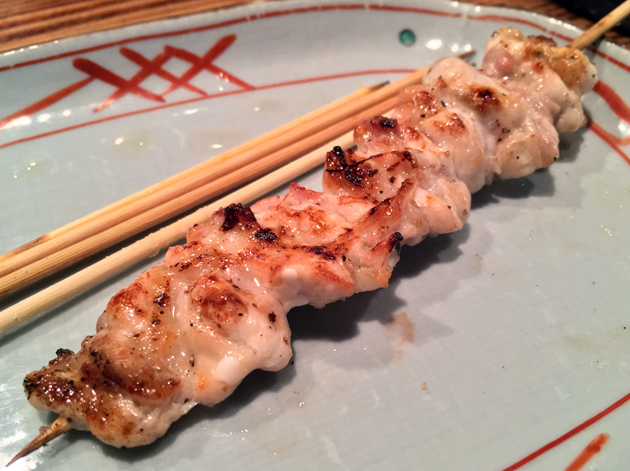 While, moist, tender, meaty and neatly complimented by the spring onions, this final yakitori wasn’t as complex and satisfying as some of the preceding skewers. 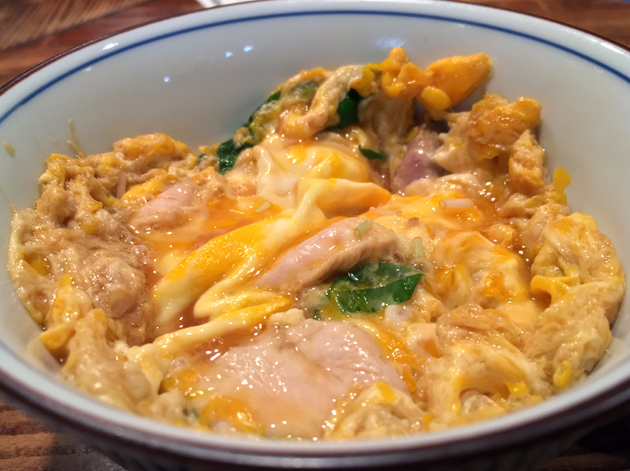 Oyakodon is classic Japanese comfort food – simmered chicken and egg on rice. The version here wasn’t bad with lightly creamy omelette-like folds of egg and soft, small-grained rice, but the chicken was uninspiringly anonymous. 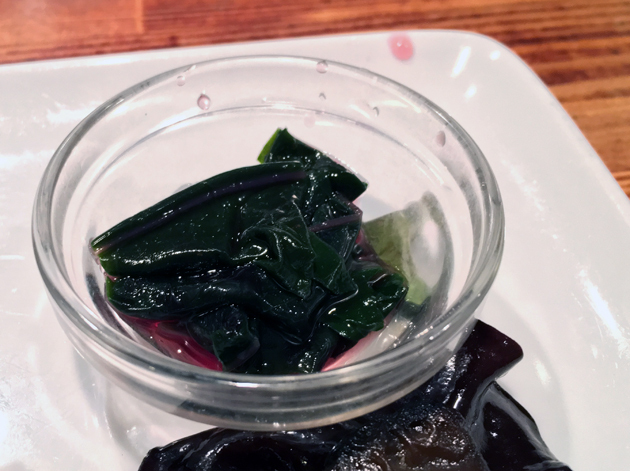 Tapering down the savoury dishes in preparation for a dessert is a valid way of structuring a tasting menu, but not when diners have opted for the dessert-less option. It just feels anti-climatic. 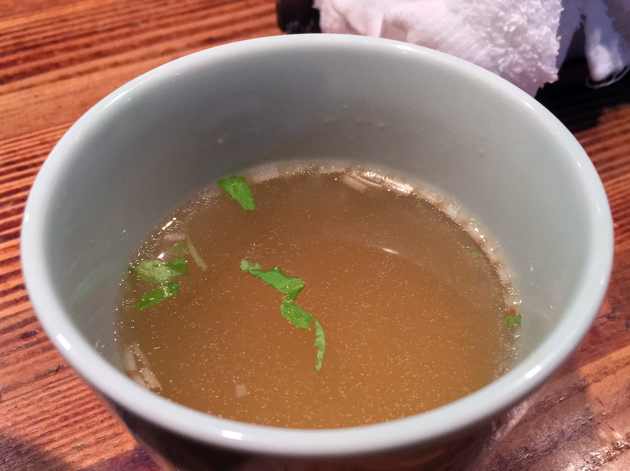 A gently sweet and herby consommé followed by briney and sour pickles were a palate-cleansing finish. I keep spelling Birdland as Brideland. Time for a convenience store dessert. Birdland is a polished place but doesn’t, unsurprisingly, have quite the same camaraderie as a good izakaya. Nevertheless, it’s still a remarkably cosy experience. 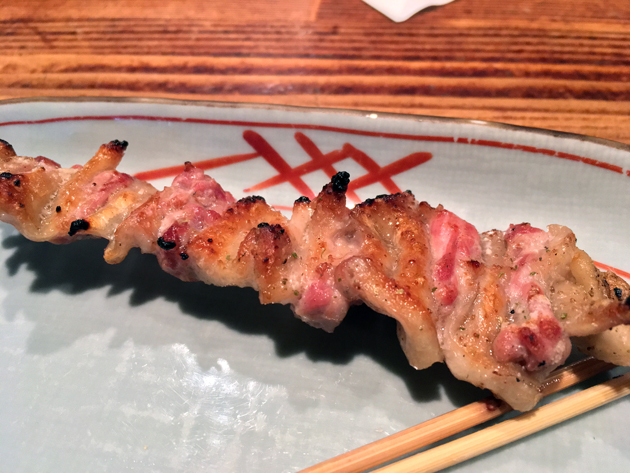 The yakitori, at its best, surpasses what a traditional izakaya can do and that’s saying something. 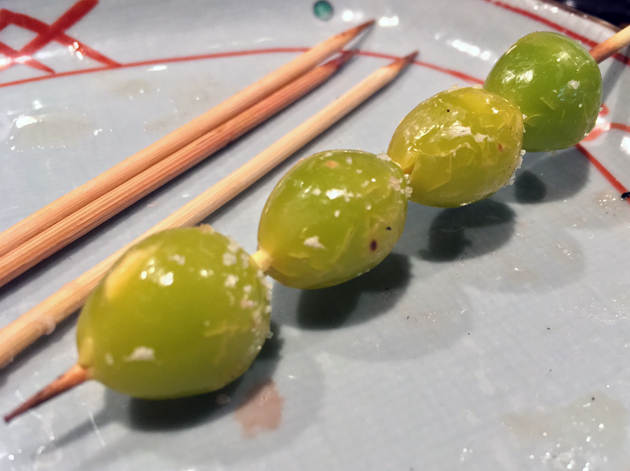 The best yaiktori here are sizzlingly sublime, yet seductively simple skewers of stupendous skill. When joined by the best of the non-skewered dishes, it makes for an evening of delicious meat deftly crafted with a light touch. 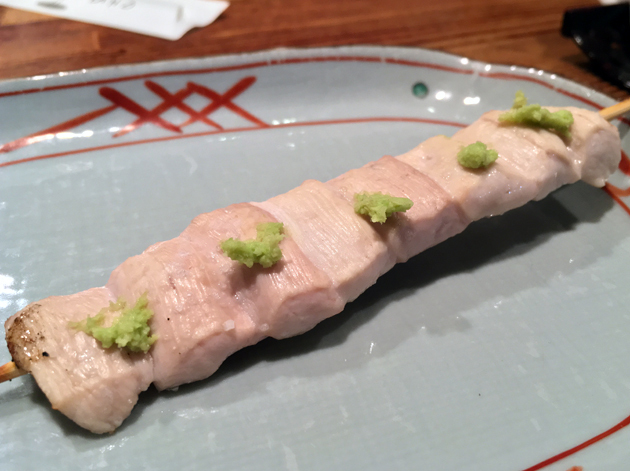 A few below par dishes and structural issues marred the experience though, making a meal at Birdland just that bit harder to justify over a night at a standard yakitori-ya or izakaya. 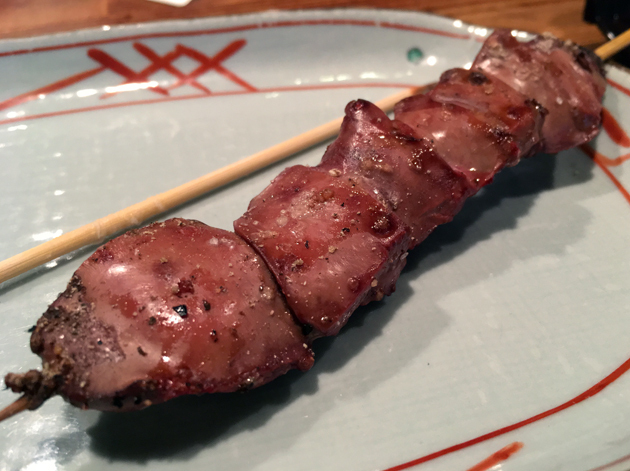 Even so, if you can, Birdland is worth a visit for a peek into just how elevated the art of yakitori can be. Opening Hours: Tuesday-Friday 17.00-22.00; Saturday 17.00-21.30 (last orders 30 mins before closing time). Closed Sunday-Monday and national holidays. Total cost for one person excluding drinks: ¥7668 (£53 approx. at time of writing). 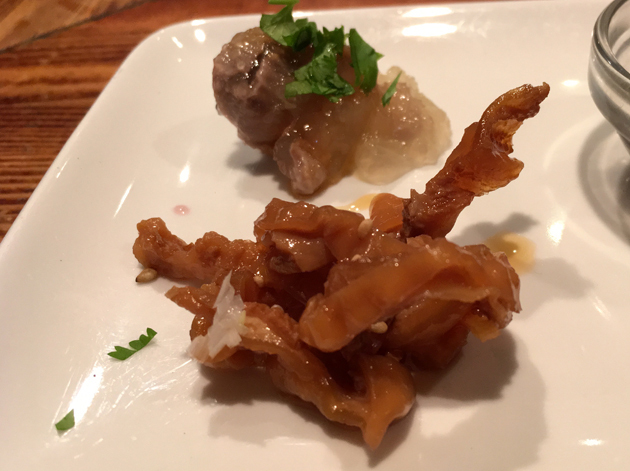 Tags: birdland, chicken, fungus, gingko nuts, pate, restaurant, review, tofu, tokyo, yakitori. Bookmark the permalink.